Are you looking for a free encoder? If so, please note that we recommend OBS Studio rather than Adobe FMLE, as it’s a more reliable software. However, we do still support both encoders. Adobe FMLE can be a good solution if you intend to do multi-bitrate streaming. For that reason, we’re offering this Adobe FMLE-focused streaming guide. 1) Create a live stream by clicking on the camera icon or + Create New. 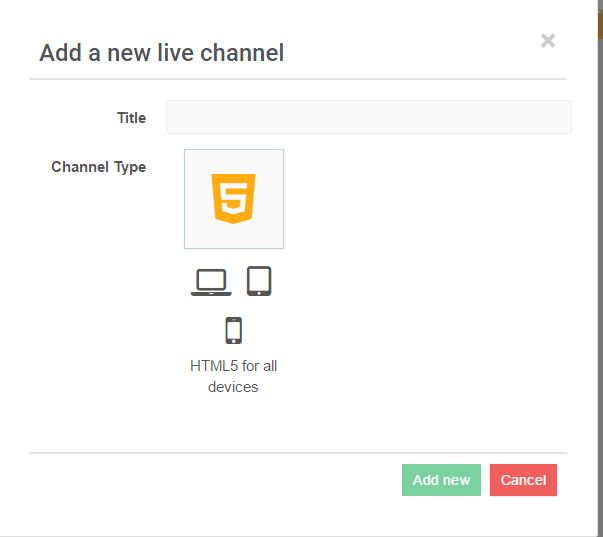 2) Choose a name and click on HTML5 for the Channel type. 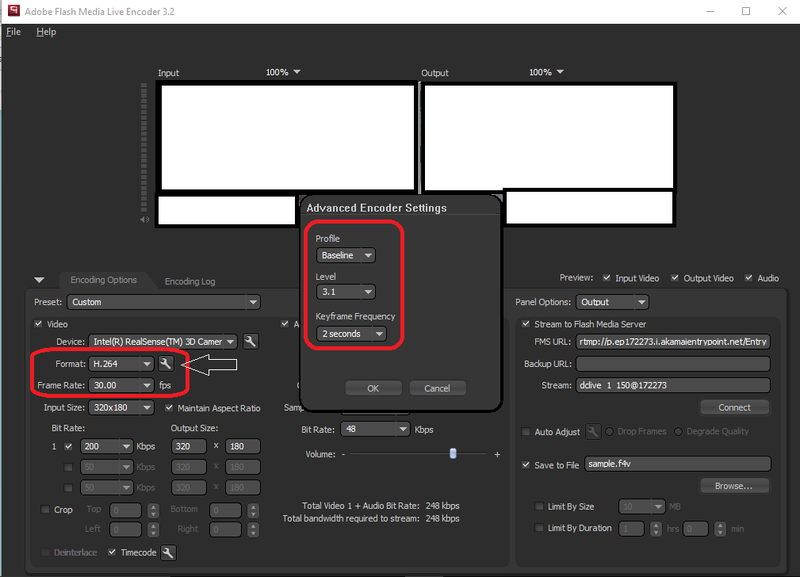 3) Once you save these settings, click on Encoder Setup. 4) Publishing Point: Our system auto-detects and optimizes the selection of the publishing point based on the location of your stream. 5) Multi-bitrates setting: Our player is adaptive and automatically detects your encoder multi-bitrate settings. This allows you to provide the best quality stream to your viewers based upon their connections. 6) Next, click on Next Step. 7) Now, click on Flash Media Live Encoder (FMLE). 8) If you don’t have Adobe FMLE yet, download the software here. 9) First, install the software, and then open it. 10) Now return to the DaCast backend. Go to the encoder set-up section of your channel (see step 3). 11) Take note of the Stream URL, the Stream name, as well as the Login and Password (2 series of 6 digits). 12) Now return to the encoder (FMLE). 15) FOR MULTI-BITRATE STREAMS: Do you plan to do multi-bitrate streaming? If so, you need to replace “150” with “%i” in the stream name of your live channel. 16) At this point, click on Connect. Enter the login (username) and password you wrote down earlier (see step 11). 18) Finally, click on Start. You are now ready and able to stream! Want to preview your stream? Return to the DaCast backend and click on Preview. Note that it can take up to 50 seconds to come up online for “All devices” channels. Be patient, and your stream preview should load within a minute or so.